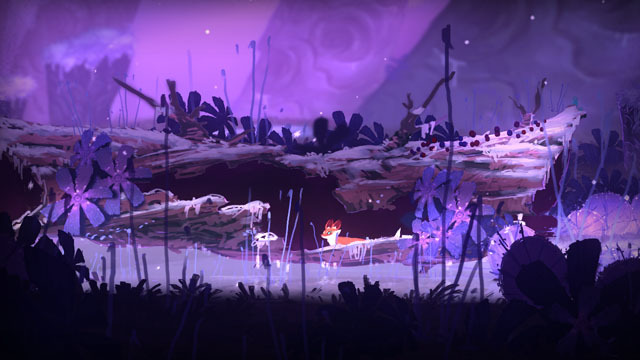 Seasons After Fall, from France-based indie studio Swing Swing Submarine - developers of Blocks That Matter - features a wild fox that is traveling across the landscape, exploring, platforming, and interacting with the guardians of the seasons. The key to progressing is the player’s ability to change between any of the 4 seasons at will, and doing so may have dramatic effects on the environment. For instance, if your path is blocked by water, you may change the season to winter, causing it to freeze and allowing you to pass. If you cannot reach a high ledge, you may water a seedling, which will sprout into a full-sized tree before your eyes as you change to the proper season, allowing you to climb up. The long-in-development game came out for computers last year and is now available on Xbox One and PS4. Check our coverage here.